WTF is High Fructose Corn Syrup Anyway? High fructose corn syrup is EVERYWHERE. You can’t hide from it (and you probably won’t be able to run from it either if you keep on consuming it). If you’ve been ignoring this sweetener on ingredients lists, then you may want to start changing your habits and stop sippin’ on your daily soda. High fructose corn syrup is a sweetener that is commonly used as a substitute for sucrose since it’s cheaper and gives a sweeter taste. It’s actually almost identical to table sugar and honey in structure, but unlike sucrose, it’s highly processed. 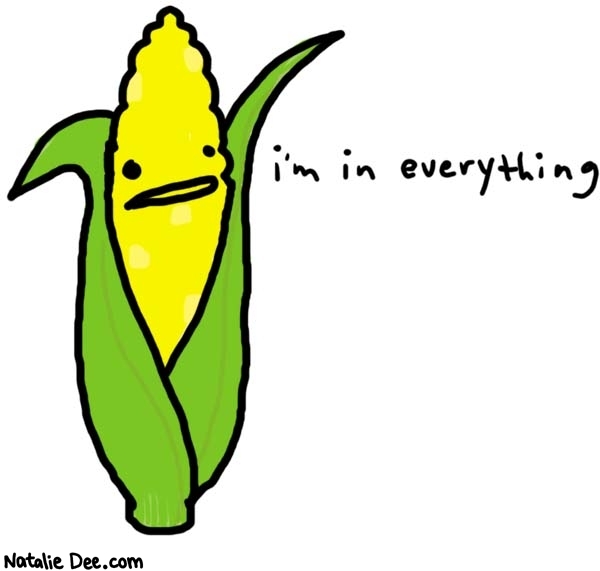 HFCS is made from corn (surprising!) that undergoes an enzymatic process to convert some of its glucose to fructose instead, producing that must-have sweetness (think back to your high school chemistry class, people). While some professionals believe that this highly processed substance affects normal appetite function and contributes to the obesity epidemic today, other experts disagree. HFCS supporters believe that since this product has the same composition as sugar, the body doesn’t know the difference and metabolizes it the same way. And hey, if that’s the case, then why not continue using this sweetener while saving bucks at the same time? Will the world ever know the truth behind this desirable and oh-so-delicious substance? Until we do, so the choice is really up to you. But to be safe, try avoiding products that contain abnormally high amounts of HFCS, including soft drinks, juices, salad dressings, cereals, and candy (yes, it’s okay to start crying now).